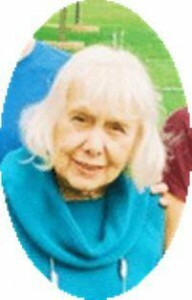 Patricia D. Arvan, 84, died Monday, January 2, 2012 at her Anita’s Garden residence in Port Washington, Wisconsin. She was born April 23, 1927 in Milwaukee, Wisconsin to Eldred and Helen Malczewski Arvan and grew up on the northside of Milwaukee. She worked as a secretary for Wisconsin Bridge and Iron Works in Milwaukee and later as an executive secretary for Wisconsin Electric in downtown Milwaukee. She had lived in Cedarburg for 10 years and moved to Anita’s Garden in Port Washington in 2009. Patricia love to sing and participated in church choirs over the years. She also was a member of the Florentine Opera in Milwaukee. One of her life long passions was reading. She is survived by her daughters Allyson (Dan) Olivier of Port Washington and Hillary Amini of West Bend. Further survived by her grandchildren Mike, Shane, Stratos, Chrystal, Arsalon and Melanie, great grandchildren Jordan, Taylor and Isabella, sister Corinne Dansand of Lancaster, California, nieces, nephews, other relatives and friends. Preceded by sisters Elaine Coleman and Gloria Arvan. Rev. Roger Boesch will officiate funeral services 11:30 am Saturday, January 7, 2012 at Graceland Cemetery, 6401 N. 43rd Street, Milwaukee, Wisconsin. Family will recieve friends after 11 am Saturday at the cemetery chapel. Memorials to the Alzheimers Association of Southeastern Wisconsin appreciated.